Disgraced former County Commission Chair PRISCILLA BENNETT a/k/a "RACHAEL BENNETT" and other corporate lobbyists worked with County Attorney PATRICK FRANCIS McCORMACK to submarine and torpedo lobbyist registration. Government watchdog Thomas F. Reynolds, Jr. first raised the issue five years ago, based upon the weight of authority from enlightened Florida cities and counties. I continued the campaign, often raising the issue, without any response for years. Kudos to Commissioner James K. Johns, then-outgoing chair, who raised the issue in November 2017 at his last meeting as Chair. On March 20, 2018, Commissioners directed that the ordinance be drafted. Then. the simple lobbying registration ordinance was set for the June 19 Commission meeting. Then the lobbying registration ordinance was pulled, sub silentio. Commissioner James K. Johns rightly questioned why, and noted that people were contacting him about drafts he had not been shown. Four all-Republican Commissioners emitted a series of elephantine excuses, showing who wears the pants in St. Johns County. Hint: It's not the five all-white, all-male, all-Republican County Commissioners. Its former Commission Chair PRISCILLA BENNETT a/k/a "RACHAEL BENNETT." I've asked former Commission Chair BENNETT to disclose her clients of COGITO LLC, a home business. Is former Commission Chair BENNETT still working for State Senator TRAVIS HUTSON's family development company and its undisclosed foreign investors? Is BENNETT receiving compensation in the form of unethical contingency agreements, banned under state, county and city lobbyist registration schemes? IF so, will the FBI investigate BENNETT and others for possible Hobbs Act violations? Misusing the term "stakeholders" as a synonym for "lobbyist," corrupt County Attorney PATRICK FRANCIS McCORMACK literally ran away from me as I was seated at my table at the July 17, 2018 County Commission meting. Why? I quietly asked the sneaky snake about his misuse of the term "stakeholder." This is an epic example of "terminological inexactitude," as Sir Winston Spencer Church would put it. St. Johns County Attorney PATRICK McCORMACK is a snaky, sneaky, lying louche developer corporation-coddling government lawyer. This dingbat developer doormat's future as a corporate whore is now secure. Prediction: some corporate law firm will hire this former Navy Captain, whose expertise in submarining and torpedoing lobbying registration legislation makes him a prime target for the "deferred bribe," as Ralph Nader would put it. 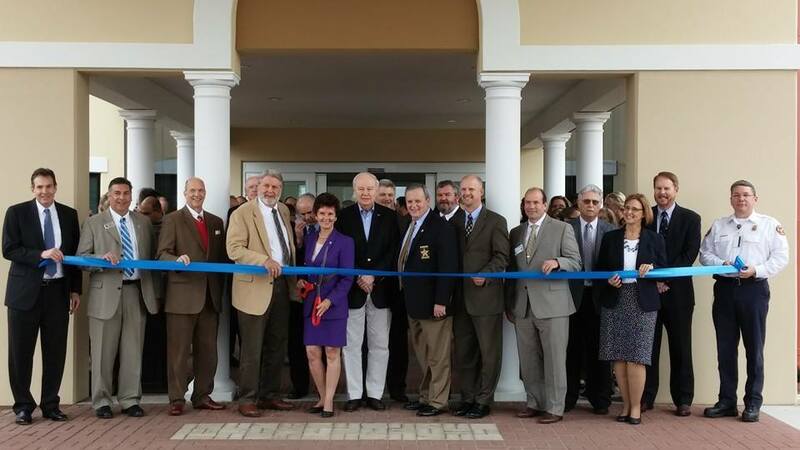 There's corrupt developer lobbyist RACHAEL BENNETT, with Sheriff DAVID SHOAR f/k/a "HOAR" and his haughty henchmen, including BILL McCLURE and JERRY CAMERON, when BENNETT was St. Johns County Commission Chair, at dedication of HHS Building a/k/a "Gauze Mahal," wielding a pair of $140 scissors that disappeared. Thank you for your comments on the proposed lobbyist ordinance. The ordinance has been pulled from the June 19 agenda, and it will likely be placed on the agenda for the first August meeting. The ordinance is not intended to impede open communication between the County and its citizens; however, the Board of County Commissioners has directed this office to present a draft ordinance for their consideration in order to increase transparency. This discussion took place at the March 20 BCC meeting. I will attempt to address the scenarios you have presented in your emails. For instance, today I got an adjacent property owner notice about a public hearing. I have been contacting staff for various pieces of information as any informed citizen should. Only requests for information- no expression of opinion or stance. Do I have to fill out a lobbyist form? No, because it is for me personally. In this scenario, you have been asking for information for your own purposes but have not sought to influence the outcome of any official action. This does not fall within the definition of lobbying. But what if that information turns out to be relevant to a client and two weeks later they ask me to go to the hearing to speak on their behalf? Even if your prior communications had sought to influence the outcome of an official action (as opposed to simply seeking information), you would not be considered a lobbyist under the ordinance for the purpose of your earlier communications because you were not representing a principal at the time your communications with staff occurred. With respect to speaking at a public hearing, this would appear to fall within one of the exceptions in the ordinance. What if I get the information and then they speak on their own behalf? Did I lobby? If your communications with staff were limited to information gathering, and the client spoke on his or her own behalf, this would not be lobbying under the ordinance. Now- what if that adjacent property owner notice was sent to a client and they asked me to find out the info. Same emails went to same staff as a means of obtaining information. Only requests for information- no expression of opinion or stance. No decision has been made about whether to participate in the public hearing. Is the request for information now considered lobbying? This is not lobbying as long as the communication is limited to gathering information and does not seek to influence the outcome of an official action. At what point in the information discovery process does contact become part of the lobbying process? Not until an opinion is expressed? At first contact? Contact becomes part of the lobbying process at the point when there is communication that attempts to influence the outcome of an official action. Requests for information, by themselves, do not constitute lobbying. During application review, every applicant (usually a planner or attorney or engineer) routinely "discusses" issues with staff multiple times for every submittal until all items are ironed out. If the application is going to public hearing, is this lobbying? If it is going to public hearing, is the resubmittal of an application on WATS an act of lobbying? Most conversations with County staff are going to fall outside the scope of the ordinance. The definition of lobbying applies to communications with the County Administrator, Assistant County Administrator, County Commissioners, appointed board members, and County employees with final decisionmaking authority. This definition is intended to exclude most of the communications with staff you describe here which are mostly limited to technical aspects of the application. And- WHO is going to keep track of all this, and what is the fiscal impact of this absurd process. The way the ordinance is currently set up, each County office will have a lobbyist log (basically a sign-in sheet) that a lobbyist will be required to fill out at each occasion of lobbying. County departments will forward their logs to the County Attorney’s office, and we will keep them on file for the required retention period. For meetings that occur outside County offices, or by telephone, the lobbyist is responsible for contacting the County Attorney’s office. OMB has reviewed the ordinance and determined that the fiscal impact to the County should be minimal. As an aside- I am surprised that it is legal for you to stipulate the terms of a private business contract. Many attorneys work on a contingency contract basis. The contingency fee prohibition was placed in the ordinance at the request of the Board and mirrors the language contained in Florida Statutes. The state statute has been challenged and was upheld by the Eleventh Circuit Court of Appeals. What if I try to negotiate with staff- of course to get to public hearing and hopefully get approval, but the opinions that I express are my own, and are truly part of my ethics and belief system and are not specific to the particular project- they are stances I would take regardless of whether it was my personal project or a client's project. If you are communicating with any of the people identified in the definition of lobbying in an attempt to influence the outcome of an official action, and you are representing a principal for compensation, then you would be a lobbyist under the ordinance. Again, thank you for providing your comments on the ordinance. I hope that you will be able to come to the Board meeting when the ordinance is presented for first reading to present your thoughts to the Board. This will likely be the August 7 meeting, but I will send out an email once that is confirmed. This communication may contain privileged and confidential information intended only for the addressee(s) named above. If you are not the intended recipient, you are hereby notified that any review, dissemination, distribution or duplication of this communication is strictly prohibited. If you are not the intended recipient, please notify the sender by reply email and destroy all copies of the original message. IRS Circular 230 Disclosure: To ensure compliance with U.S. Treasury Regulations governing tax practice, the St. Johns County Attorney's Office hereby informs and notifies each addressee hereof, including any copied addressee, that any U.S. federal tax advice contained in this communication (including any attachments), unless otherwise specifically stated, is not intended or written to be used, and cannot be used, for the purpose of (i) avoiding penalties that may be imposed on the addressee under the Internal Revenue Code and the regulations promulgated thereunder; or (ii) promoting, marketing or recommending to another party any transaction(s) or matter(s) addressed herein. To the extent that this communication may be deemed to contain any U.S. federal tax advice, then unless otherwise specifically stated herein, the addressee is expressly notified by the St. Johns County Attorney's Office that the addressee may not and cannot rely or base any decision, action or inaction upon the same, but should seek advice based on the addressee’s particular circumstances from an independent tax advisor. I regret that I will not be in town for the first reading of this ordinance. I would like to go on record as saying that it is cumbersome and confusing at best. SJC has always had an open door policy when people have questions of staff/ administration, or if they want to discuss something- is this an effort to drive a wedge in that open communication? But what if that information turns out to be relevant to a client and two weeks later they ask me to go to the hearing to speak on their behalf? I didn't fill out the lobbyist form because I didn't know what the information would tell me and at the time was only curious and not trying to influence the result of a public hearing. Since more than 7 days elapsed between when I first asked for info and when I realized it would be relevant to a client, I seem to be in violation of the deadline to register. What if that information, after a period of 2 weeks, turns out to be relevant and I am asked to participate in the public hearing. Does that make what was not lobbying now a situation of lobbying? And- WHO is going to keep track of all this, and what is the fiscal impact of this absurd process. OOOOPS that was lobbying, wasn't it? Or was it? If I take out the word "absurd" is it lobbying? Or just information gathering? Per your request, please see attached. This has been placed on the June 19 BCC agenda. If you have any feedback, please let me know, so I can add it to my presentation. The BCC has directed our office to prepare and bring back a lobbyist registration ordinance at a future meeting. Part of the Board’s discussion involved making sure whatever registration program we come up with is revenue-neutral, and they also mentioned having an economic impact statement. Therefore, I would like to have someone from OMB involved in the process. Can you let me know who I should send drafts to and invite to meetings? I will probably start by circulating a draft in the next few weeks and going from there. Hopefully, this shouldn’t require too many meetings. Good morning. This is a follow-up on the lobbyist ordinance. I am looking at the second June BCC meeting for a first reading, so if you have any feedback, please send it to me by the end of next week, so I can incorporate any requested changes. Also, can you please provide me contact information for any lobbyists you deal with frequently so I can seek feedback from outside stakeholders. The attached draft contains changes based on the feedback I have received so far. Good morning, all. You are getting this email because you have either volunteered or been volunteered to assist in the review of the draft lobbyist registration ordinance. A first draft is attached. When the Board provided direction on this ordinance, they specifically called out the Lake County lobbyist registration ordinance as one that they liked, and the attached ordinance is based on that one. I would appreciate any feedback you may have, but I am specifically interested in any thoughts regarding the enforceability of the ordinance as well as the practicality of requiring an annual fee for registration to cover any administrative costs. At the direction of the Board of County Commissioners, the Office of the County Attorney has been preparing a draft lobbyist regulation ordinance for consideration by the Board. The attached ordinance has been placed on the agenda for first reading at the June 19 Board of County Commissioners meeting. You are receiving this email because you have been identified as external stakeholders. Please note that the June 19 meeting is just a first reading and the Board will not be voting on the ordinance at that time. If you have any feedback regarding the ordinance, please let me know prior to June 19 so I can include it in my presentation. I know the CAO has received a ton of comments about the ordinance. I was just giving my two cents so I would know how to govern myself going forward. CONFIDENTIALITY NOTICE: This email is from the law firm of Rogers Towers, P.A. (“Rogers Towers”) and the information in this email and all attachments to this email (the “Information”) are intended solely for the intended recipient(s). The Information may be legally privileged and confidential. If you are not an intended recipient or you believe that you have received this email in error, please notify the sender immediately, delete the email from your computer, and do not review, use, disseminate, distribute or copy this email or the Information. Please also take the necessary steps to permanently remove any copies of the Information from your system and do not retain any copies, whether in electronic or physical form or otherwise. If you are not an existing client of Rogers Towers, do not construe anything in this email to create an attorney-client relationship between you and Rogers Towers unless the email contains a specific statement to that effect and do not disclose anything to Rogers Towers in reply that you consider confidential. First, this ordinance has been pulled from the June 19 agenda. It will probably come back to the BCC in August for first reading. Regarding your questions, the registration will take the form of a sign-in sheet placed in each County office. Regarding communications with staff, to the extent that the nature of the communication is that of (for example) gathering information or discussing the details of a project, this would probably not be lobbying under the ordinance. It only becomes lobbying when the communication seeks to influence the outcome of an official action. With regard to who is a staff member with final decisionmaking authority, it would be a staff member who has the ability to make a non-ministerial decision that is binding if not appealed. For example, if the County Administrator designates a staff member to exercise his authority to make a vested rights determination under Article X of the LDC, that staff member would have final decisionmaking authority. Thank you for your comments on the ordinance. If you have any additional feedback, please let me know. I have a few questions about this. Would the County have lobbyist registration forms to be completed, or would this be a “sign-in” sheet? Who are “County employees with final decision-making authority”? As you know, I have daily contact with County staff regarding my numerous projects, and when I e-mail them, I always copy Paolo because he is typically involved in the projects. However, sometimes I have one-on-one e-mails or phone calls with staff members about project details. Is that lobbying? Or is it free speech? Whoever is pulling this together needs to remember that the Commission also requested a financial impact analysis of such an ordinance. Florida has a very broad public records law. Under Florida Law, e-mail addresses are public records. If you do not want your e-mail address or information received released in response to a public records request, do not send electronic mail to this entity. Instead, contact this office by phone or in writing. This communication may contain privileged and confidential information intended only for the addressee(s) named above. If you are not the intended recipient, you are hereby notified that any review, dissemination, distribution, or duplication of this communication is strictly prohibited. If you are not the intended recipient, please notify the sender by reply e-mail and destroy all copies of the original message. In addition, any information provided in this email is considered an informal review and not a guarantee. No reliance may be given on information unless through a formal application and submittal pursuant to the Land Development Code and the Comprehensive Plan of St. Johns County. Will do. I’ll be sending out a first draft in the next few weeks. Teresa Bishop, Mike Roberson and me. Is there anyone in particular you would like me to include in meetings and circulating drafts? Yikes, I guess we need to be involved. If a land use attorney is defined as a lobbyist we will be logging meetings all the time, as they are often the applicant or applicant’s agent. This will be a game changer in terms of staff burden. It wouldn’t apply to the applicants themselves. For outside consultants acting on behalf of the applicants, it would apply to the extent that they are lobbyists, but I’ll have to give some thought to some of the mechanics. I don’t want to place the burden on staff if it can be avoided. Would you like for me to include a Growth Management representative in any meetings I have on the subject? If this moves forward, and it applies to staff tracking meetings, can we exempt land use applicants? While Lauren is the OMB liaison for the OCA, I am recommending Lauren because she is astute in implementing ground-up processes. Our office has received direction from the BCC to draft an ordinance that would require the registration of lobbyists. I am putting together a list of County departments that may be affected by the ordinance. Would you like to have someone from Public Works on my distribution list? I don’t anticipate a large number of meetings, but I will be sending out drafts and asking for feedback. Please let me know if you would like to be included, and, if so, who from your department I should coordinate with. Thanks for thinking of us:) Please include Joyce Jolley on the distribution list. Our office has received direction from the BCC to draft an ordinance that would require the registration of lobbyists. I am putting together a list of County departments that may be affected by the ordinance. Would you like to have someone from Land Management on my distribution list? I don’t anticipate a large number of meetings, but I will be sending out drafts and asking for feedback. Please let me know if you would like to be included, and, if so, who from your department I should coordinate with. 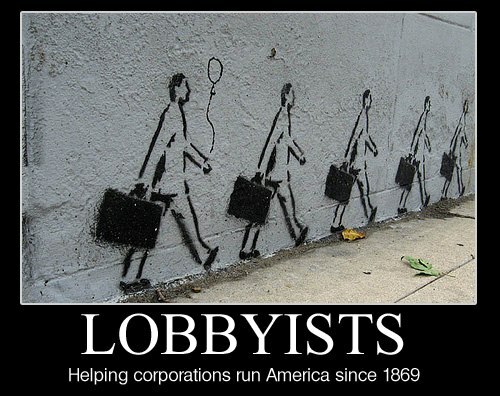 We don’t have any interaction with lobbyists, really, unless we’re procuring lobbyist services. So, I don’t know that we would need to be included. PLEASE NOTE: Florida has a very broad public records law. Most written communications to or from the St. Johns County Board of County Commissioners and employees regarding public business are public records available to the public and media through a request. Your e-mail communications may be subject to public disclosure. Our office has received direction from the BCC to draft an ordinance that would require the registration of lobbyists. I am putting together a list of County departments that may be affected by the ordinance. Would you like to have someone from Purchasing on my distribution list? I don’t anticipate a large number of meetings, but I will be sending out drafts and asking for feedback. Please let me know if you would like to be included, and, if so, who from your department I should coordinate with.